If you have seborrheic dermatitis on your face, you might be a little skeptical about trying a Dead Sea face mask. Your skin is too sensitive for that, right? Not necessarily! 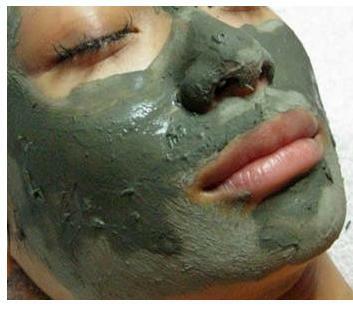 What’s great about a Dead Sea mask, is that it really cleans out those pores, seborrheic dermatitis kind of makes you think you have dry skin, but really its a gross yeasty oily situation oozing form your pores and causing drama. Deep cleaning can help rid yourself of that scourge! 2- Aloe arborescens (krantz aloe, candelabra aloe) is a species of flowering succulent perennial plant that belongs to the Aloe genus, which it shares with the well known and studied Aloe Vera. This species is also relatively popular among gardeners and has recently been studied for possible medical uses. 3- Glycerin is a humectant that can be naturally derived from plant oils, or it can also be synthetically produced. As a humectant, glycerin works to moisturize the skin by drawing water from the air into the skin's outer layer. It also forms a protective layer that helps prevent moisture loss. 4- Caprylyl glycol. A humectant and skin conditioning agent that lends moisturization, emollience and wetting properties to many cosmetic solutions. It also function as a stabilizer and has been shown to increase the antimicrobial activity of other preservatives. 5- Sorbic acid, or 2,4-hexadienoic acid, is a natural organic compound used as a food preservative. It has the chemical formula CH3(CH)4CO2H.